The view as you arrive at the Barn. 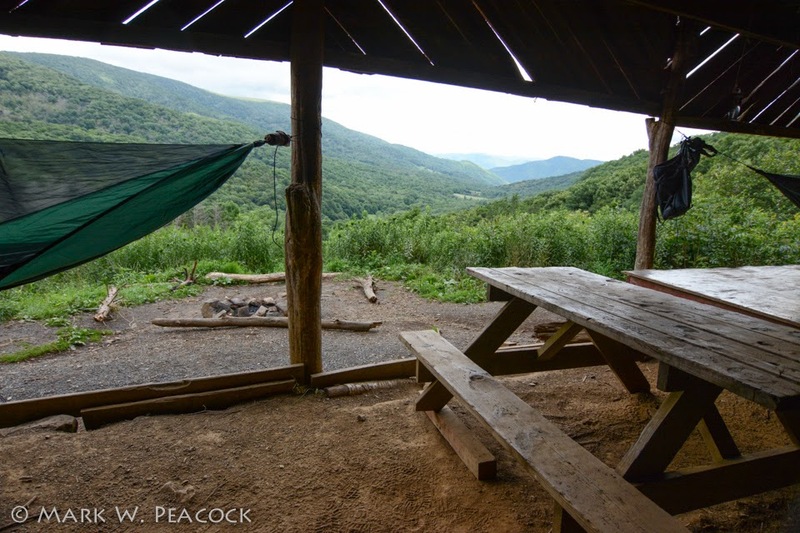 There are more than 250 back-country shelters spread along the length of the 2,200 mile long Appalachian Trail. Many/most of these are little more than three-sided, rustic lean-tos, with sleeping platforms accommodating six hikers. 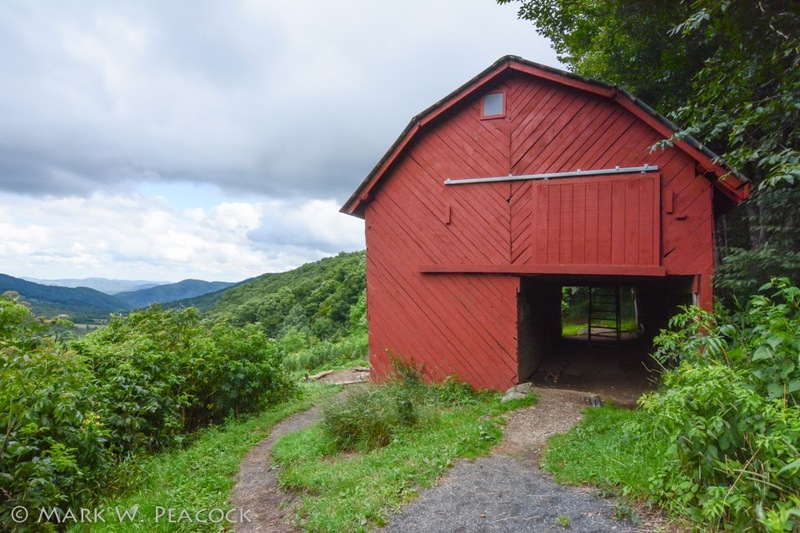 Our area has two of the most beloved and unique shelters found along the trail: the Roan High Knob Shelter and the Overmountain Shelter, affectionately known as "The Barn." As AT shelters go, The Barn is palatial and luxurious. Sleeping 30, it has two stories, a large, enclosed loft as well as an open porch, and a nearby privy. Other amenities include picnic tables, two fire rings, a nearby water source, and incredible views. The barn was built in the 1970s, not for use as a shelter, but for actual farming needs. 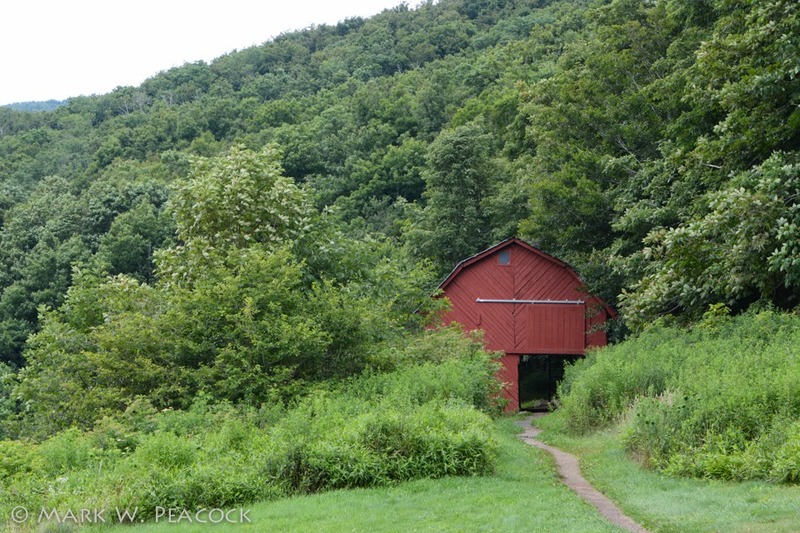 It was renovated in 1983 and made into a shelter by the Tennessee Eastman Hiking Club. Click here to see loads of fun images of this unique shelter. For an interactive map of all AT shelters, click here, and then select shelters. The Scenic Route: My favorite description of directions to the Barn was posted by CrumbSnatcher on whiteblaze.net: "Start at Springer Mountain and take a right turn at mile marker #376.8 CANT MISS IT." Starting at Carver's Gap. The shelter is 5 miles north of Carver's Gap on Roan Mountain. 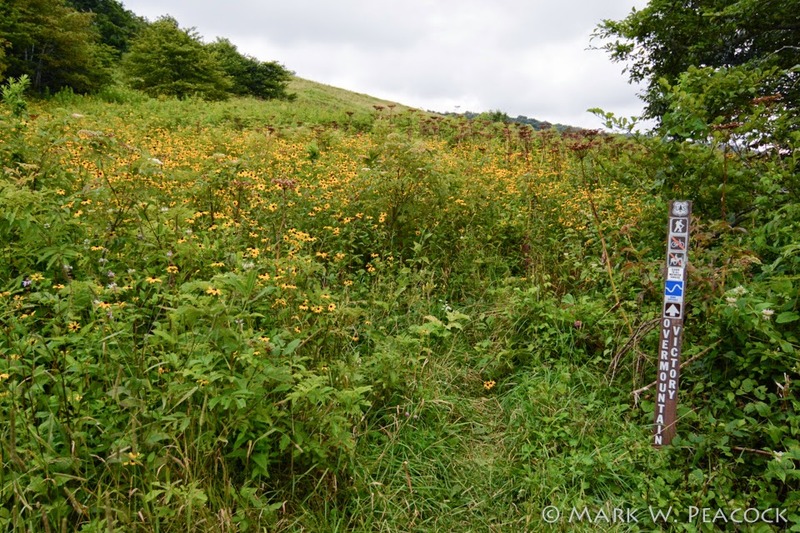 Parking here and doing a round trip in one day is possible and would give you the thrilling experience of hiking the balds of Roan Highlands. Start early, pack a lunch and have a picnic at the Barn. Note that the Barn is located 0.3 miles off of the AT. When you reach Yellow Mountain Gap, a sign will direct you down a blue-blazed side trail, at the bottom of this you'll reach a forest service road, turn right and you'll immediately see the shelter. Starting at 19E. 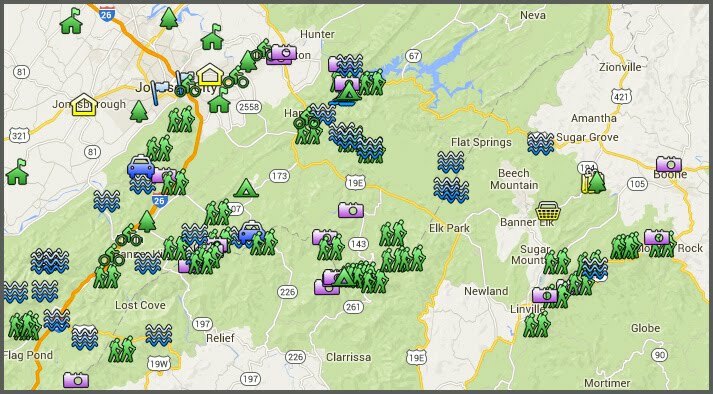 The shelter is 8.7 miles south of the Highway 19E trailhead outside of the town of Roan Mountain, TN. This puts it out of reach of a one-day, out-and-back hike for most people. However, starting here would give you the opportunity to hike the balds on Hump Mountain and Little Hump Mountain. A popular approach to this impressive and popular section of the trail is to be dropped off at 19E and then picked up the next day at Carver's Gap (or vice-versa). 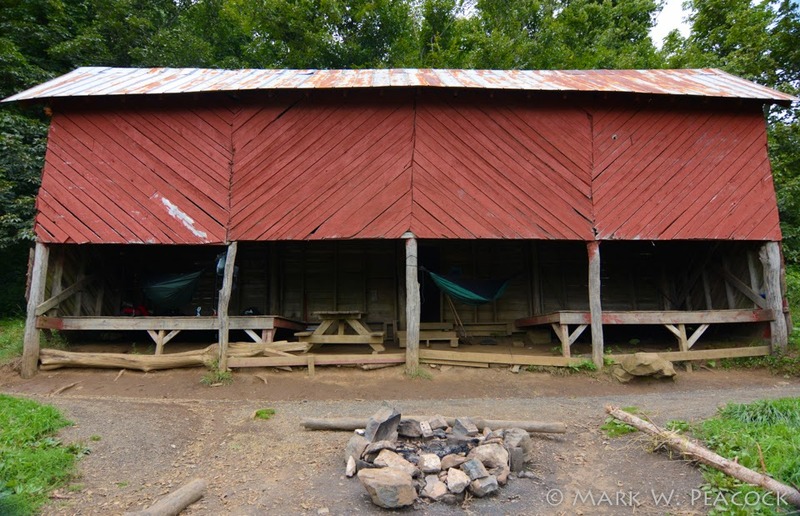 On my visit to the Barn I met a group of hikers who were doing just that, planning to spend the night in the shelter. The Barn is a comfortable distance from 19E (although this section of the trail contains a grueling 2,000 foot climb!)... but the next day you can take your time enjoying the balds, and taking the side trail up Grassy Ridge. 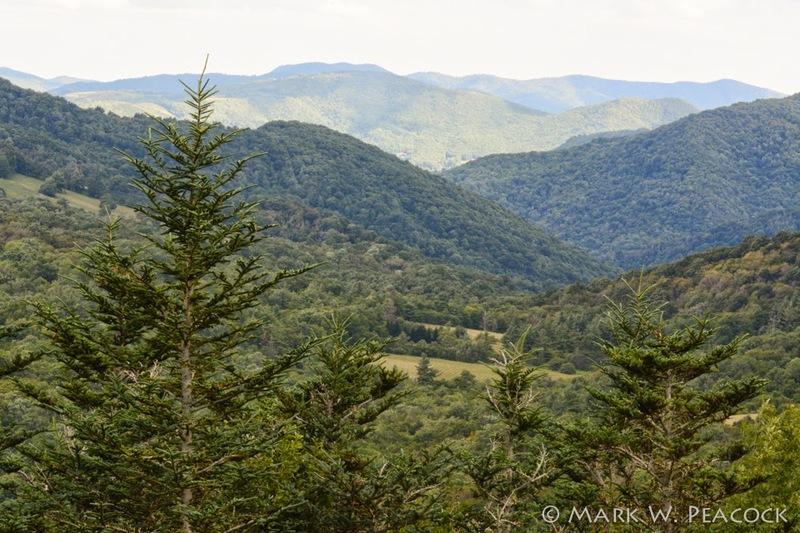 Here's an account of an overnight hike from 19E to Carver's Gap. Here's a video showing scenes from this hike. Via the Overmountain Victory Trail. Yellow Mountain Gap is the intersection of the AT and the Overmountain Trail. This historic trail can be accessed on the Tennessee side of the mountain at Hampton Creek Cove outside of Roan Mountain, TN. Click here to read Hiking Bill's account of this hike. 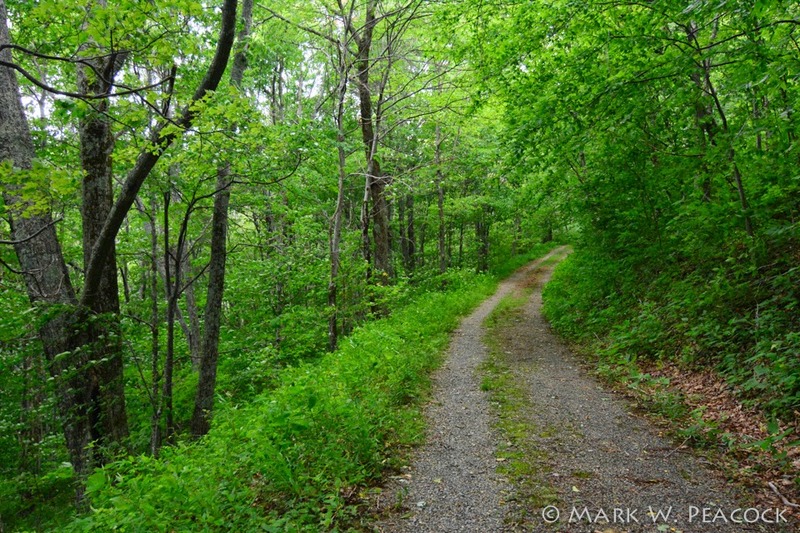 The trailhead on the NC side of the mountain is found near the parking area at the end of Roaring Creek Road (described below). The NC side of the trail does not appear to be maintained and may be best experienced in the winter months. Driving There: The quick and easy way to visit the shelter is to drive there. Turn south on Rt. 19E at Cranberry, NC, drive 8.2 miles, turn right onto Roaring Creek Road. The street sign isn't there, but you'll see a sign for a Roaring Creek Church. You stay on this road for 4.7 miles to the end (the last mile is gravel - but in pretty good shape). Park here and walk up the forest service road (pictured left) approx. 1 mile to the shelter. Map. Where to go from here? I suggest you climb up to Yellow Mountain Gap and then head north on the AT to Little Hump Mountain, a spectacular bald. A steep climb but well worth it! 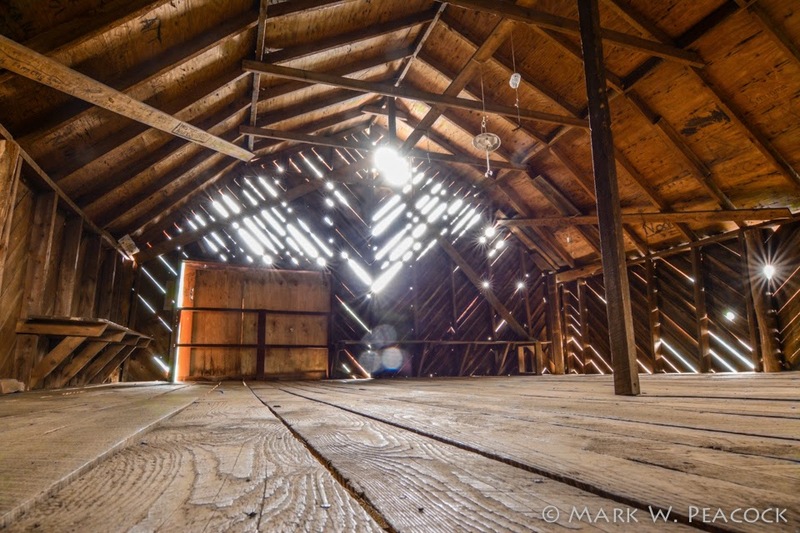 Mark ... these are some of the best photos of "The Barn" I've seen!! I've yet to get any photos I'm satisfied with of this neat place. Great shooting! What application do you use to put copyright c and your name over the pictures? I have done it using MS Frontpage and I suspect there is an easier way. Hi Doug, I simply use the watermark feature within Adobe Lightroom when exporting my images for the blog. I used to use Photoshop, but that required an additional step. Thanks for visiting! Unsure how I ran across this...but we just hiked from Carver's Gap to the shelter and back this summer. Short but beautiful hike. One question- any idea what building was on the side of that mountain (just past the little hump mtn I think) on the left looking from over mountain shelter? Lights were on at night and we were surprised that a house (if it was a house) would be built out there. I think that house has the lights that come on automatically. I do not think someone is there all the time.